Swimsuit season is quickly approaching. Weight loss is on the minds of many people. Healthy eating should take a priority when controlling calories. Dieters make healthy choices of fruit smoothies, fruit salads, and fruit desserts instead of convenient high calorie sweet treats. Fruits provide valuable vitamins and minerals that are not found elsewhere. How much fruit is too much? Is it possible to have too much fruit? A person can eat too much of a good thing, even when it comes to something as healthy as fruit. Bigger is not always better. Buying the largest apple or big bunch of grapes or bananas can work against a weight loss goal. Two to four servings of fruit daily are recommended. A 4 ounce serving of fruit is considered a portion. One half cup of juice is considered a serving, which is a small 4-ounce glass. It doesn’t take much to provide a serving of fruit. Eating fruit alone could result in an insulin spike and hunger cravings soon after the last bite. Pair a snack of fruit with a source of protein to control cravings and binges. Don’t carb alone. Add a protein snack with fruit, for example: a hard-boiled egg with an orange; cottage cheese with berries; ham with melon; apples and peanut butter; or beef jerky and strawberries. Not all fruits are created equal. One-and-a-quarter cups of diced watermelon has the same amount of sugar as 2 tablespoons of raisins. The big difference is the amount of water. When fruits are dehydrated, the natural sugars are concentrated into a much smaller amount. Choose no sugar added varieties of dried fruits. Read the food label to determine the amount of total carbohydrates in one portion. Buying fruit in season means fresher and cheaper fruit. Eating a variety of fruit ensures a mix of nutrients of the same nutrients throughout the day. Eating a healthy amount of carbohydrate foods properly fuels the activity of the body. When more carbs are consumed than used for energy, the extra calories increase the body fat stores. Too much of a good thing can have a negative effect. Eating fruit for breakfast along with a protein source assures that the energy from the fruit will be used by the muscles and not stored. Valuable vitamins and minerals are obtained from fruit. It doesn’t take much to equal a serving. Portion control when eating fruit is important. Obviously, a piece of fruit is healthier than a brownie or a donut any time of day. Use fruit as a dessert after a meal but limit the amount, especially after the supper meal. Do not demonize a perfectly healthy food. Instead, mindfully choose a smaller portion and amount when enjoying the natural sweetness of fruit without eating or drinking too much of the goodness. Fruit can be included in a weight loss meal plan. Swimsuits, sunshine, and fun go better with fruit. 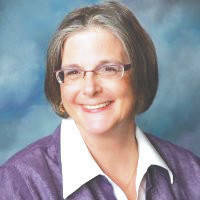 Bobbie Randall is a certified diabetes educator, registered, licensed dietitian. She supervises a Diabetes Self-Management Training Program at Dunlap Community Hospital, Orrville, Ohio. Contact her at bobbie.randall@aultman.com.